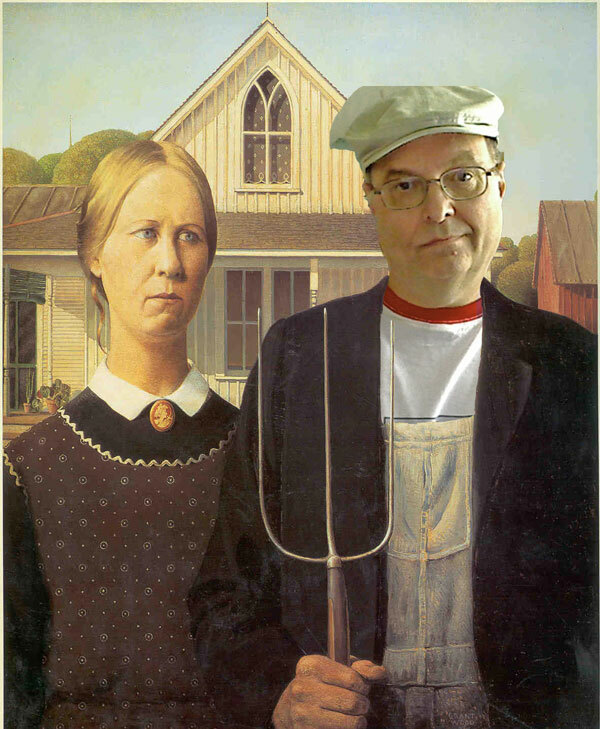 The portrait is based on a movie poster from 2000 that you can see here. 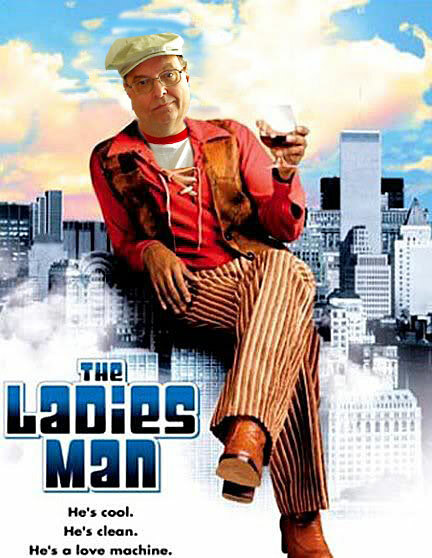 I think that my look of insouciance actually makes the new “poster” better than the original. What do you think? I was taught in school that the word often is properly pronounced without a t sound. Increasingly, however, I hear the word pronounced as of-ten. I cannot remember ever researching the pronunciation, but I have continued to find the “wrong” pronunciation grating, even though I was not 100% certain that the “right” pronunciation was the only acceptable one. During the 15th century English experienced a widespread loss of certain consonant sounds within consonant clusters, as the (d) in handsome and handkerchief, the (p) in consumption and raspberry, and the (t) in chestnut and often. In this way the consonant clusters were simplified and made easier to articulate. With the rise of public education and literacy and, consequently, people’s awareness of spelling in the 19th century, sounds that had become silent sometimes were restored, as is the case with the t in often, which is now frequently pronounced. In other similar words, such as soften and listen, the t generally remains silent. Well, that clears up a lot and confirms my suspicion that the of-ten pronunciation is largely the product of uneducated literacy. It also reminds me that English is wildly inconsistent. There is certainly utility in dropping the t in chestnut, as chest-nut is a decidedly ungainly pronunciation. It is difficult to make a similar case for of-ten, however, which is not difficult at all to articulate. Why was t dropped in the first place? 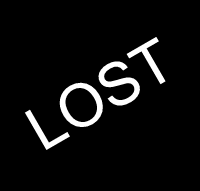 (Notice that all the other consonant clusters referred to in the Usage Note are three letters long.) But if you say of-ten, why don’t you say sof-ten and lis-ten? God only knows! According to the Sunday edition of Lagos’s Daily Trust, Nigeria’s new Anglican primate, the Most Rev. Nicholas Okoh, called Thursday (May 27, 2010) for the withdrawal of Nigeria from the United Nations. Okoh charged that the U.N., in its human rights work, is promoting homosexuality. If the UN has made itself an agent for the propagation of homosexuality globally, then it is time for us (Nigeria) to pull out of the organisation. This is because the UN has no right to determine for or impose moral standards on us (Nigeria). Let us stand firm and refuse to be bought over by the West. Okoh made his remarks at a reception for him in Lagos, Nigeria. He urged the church to support him in his battle against homosexuality. The world, he warned, is in rebellion against God, a rebellion that will climax with the appearance of the anti-Christ and the end of the age. Apparently, Okoh, like his predecessor, the Most Rev. Peter Akinola, believes that any truck with an organization tainted with support for homosexuality is sinful. This attitude—who knows what other sins Okoh wants nothing to do with—surely makes communion of Nigeria’s Anglican church possible only with the purest of partners. The full story from Nigeria can be read here. 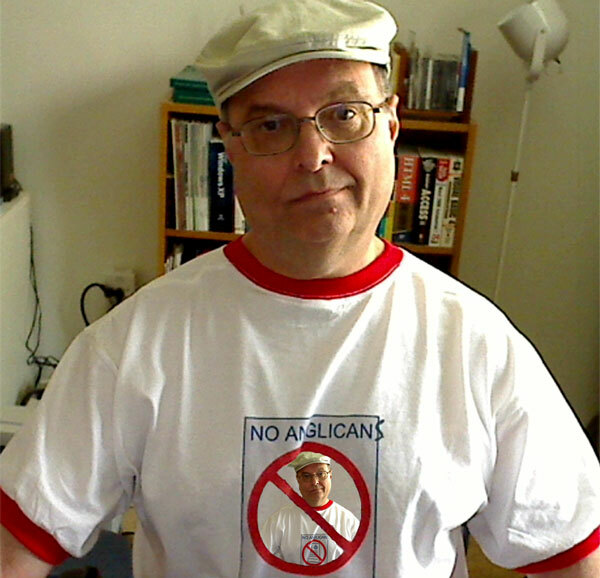 Under the circumstances, it seemed appropriate that a friend of mine would send me a couple of pictures this morning that I take to be commentary on the current state of the Anglican Communion. I leave it to my readers to figure out just what the commentary is saying. The photos are below. Click on either one for a larger view. Make of these images what you will. The goal of the two-day CREDO conferences is not only to provide respite from a long journey still underway, it is also to make space for spiritual renewal and celebration of diocesan life and ministry, the release said. According to ENS, the conference presented in Pittsburgh will be repeated in the dioceses of San Joaquin and Quincy in June and in Fort Worth in September. Like most participants, both clergy and lay, my understanding of what I had signed up for was vague. Now that it is over, I am still evaluating the usefulness of the event and trying to make sense of the many handouts I received. Irrespective of how “useful” I ultimately find SFTJ to have been, I am grateful to The Episcopal Church for recognizing the stresses on the people in “reorganizing” dioceses and for its willingness to invest in trying to ameliorate the burdens those loyal Episcopalians have taken on. We who carried the standard of The Episcopal Church during the dark days of the Bob Duncan episcopate did not always feel supported, appreciated, or even heard by our church. I’m sure I am not alone in saying that I felt well taken care of. SFTJ was offered at no cost. Meals, hotel room, and valet parking were also free. Drinks and snacks were always available. Upon arrival, each participant was given a name tag, canvas tote bag, water bottle, folder with program materials, pencil, and a notebook and pen. Everything was branded with the green SFTJ logo. More handouts and giveaways were to follow. The mechanics of the conference were handled very professionally by the CREDO people and the hotel staff. The food was excellent. Talks focused on, among other topics, our difficult journey as a diocese, on Episcopal identity, on what we might learn from the experience of others with natural disasters, and on spiritual resources that could provide us with strength for our work ahead. Lectures were supplemented with video, worship, a bit of fun and recreation, and small-group discussions. My purpose here is neither to describe fully nor to evaluate SFTJ. Instead, I want to make others in the church aware of what their church is doing for those of us who have experienced schism in our dioceses. I also want to express our gratitude for that effort and encourage our brothers and sisters in the dioceses of San Joaquin, Quincy, and Fort Worth to take advantage of the opportunity that the church is offering. Update, 5/26/2010: In the Diocese of Pittsburgh electronic newsletter that I received today, the lead story is about SFTJ. 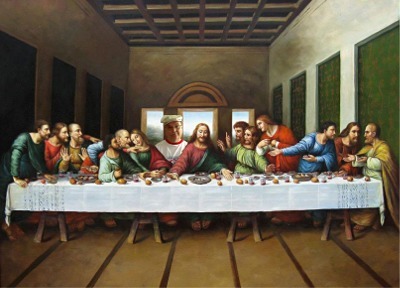 You can read it and view the associated pictures here. The arrival in my mailbox of the May 17, 2010, issue of The New Yorker reminded me of an unsuccessful campaign I pursued a few years ago. I began reading and subscribing to two magazines when I was in college, Trains and The New Yorker. What do you think these two magazines had in common in the 1960s? (This is a trick question.) Both magazines were mailed in protective covers to which the mailing label was attached. I appreciated this fact because I cherished those covers. I collect copies of Trains. My collection contains every issue from even before I began subscribing. 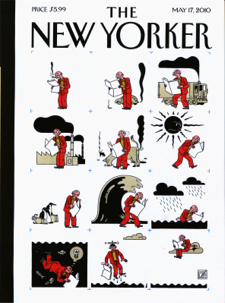 Although I have not actually collected copies of The New Yorker, I’ve always enjoyed the covers and appreciated the fact that each cover included a band at the left that sharply defined the edge of the cover art. My room in the Alpha Delta Phi fraternity house included a collage I made out of some of my favorite New Yorker covers. Both of these magazines have since dropped the protective sleeves, presumably to save money in the increasingly cost-conscious magazine industry. When Trains began putting mailing labels directly on magazine covers, the editor explained that a special glue was being used that allowed the label to be peeled off easily. That system actually works. Even before I remove the various reply cards from inside the magazine, I peel off the mailing label that directed the magazine to my mailbox, a simple task that only occasionally requires me to rub my fingers across the two rubbery lines of glue that have held the label in place. Alas, The New Yorker chose to eliminate its kraft paper sleeve in which I had always received the magazine in favor of gluing labels directly on the cover with what seems a particularly tenacious adhesive. It is virtually impossible to remove a mailing label from the lower right corner of a New Yorker cover without damaging the cover. The May 17 issue reminded me of the label problem. The 12 cartoons on that cover were clearly meant to tell a story, but the end of the story was being obscured by the mailing label, which, in this case, was more obnoxious than usual. Some time ago, I wrote to The New Yorker and asked why the magazine did not use peel-off labels. The reply asserted that available technology did not assure that labels would not be lost in transit. I have never failed to receive my monthly issue of Trains, and I have never again used covers from The New Yorker to decorate my walls. Whether there is a general throw-the-bums-out mood among the American electorate is hard to say, but, as one who voted for Congressman Sestak, I can say that there were lots of reasons not to vote for Senator Specter, endorsements by President Obama and Governor Ed Rendell notwithstanding. To begin with, Spector is 80 years old and has recently battled cancer. How healthy and mentally acute is he likely to be at the end of another six-year term? I’m sure that many voters asked themselves this same question. There is, of course, the fact that Specter, whose long service in the Senate has been as a Republican, switched parties to avoid a probable loss in the Republican primary. No doubt, some Democrats held this against Specter. Sestak cleverly exploited any queasiness Democrats might have about Specter’s opportunism by airing TV spots of Specter declaring that he was changing parties to get reëlected. Well, I’m a Christian who believes in redemption, and I welcomed Specter into the fold. The reality, however, is that whereas, in these times, Specter could be seen as a left-of-center Republican, he has to be viewed as a right-of-center Democrat. Specter feared that he would be defeated in a Republican primary election, probably by Representative Pat Toomey. In fact, Toomey won the Republican nod yesterday. If Democrats were suspicious of Specter’s changing parties, just imagine what Republican voters would have been thinking in November as they contemplated a Toomey–Specter race! Sestak looks more like a winner in the general election. True, Specter was an independent thinker who, no doubt, drove Republican leaders nuts. He was more willing than nearly every other Republican senator to vote with the Democrats on particular issues, though I doubt that anyone, Republican or Democrat, could predict what those issues might be. 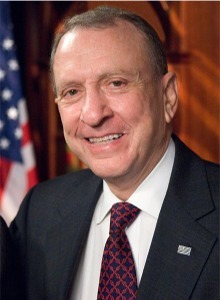 I was not ashamed that Pennsylvania was represented in the Senate by Arlen Specter. I never mistook him for a Democrat in Republican clothing, however. And I will never forgive Specter for his disgraceful treatment of Anita Hill. I appreciate what Specter has done for Pennsylvania, but I would have preferred a Democrat all along. I did not vote for Sestak because I was mad at incumbents generally; I voted for Sestak because I wanted to select a Democrat who could actually be elected. Reading about the consecrations that took place in the Episcopal Diocese of Los Angeles Saturday, I ran across the headline “Episcopal Church ordains openly lesbian woman as bishop” on a story dated yesterday. The same Web site, Examiner.com, also has a story titled “US Episcopal Church ordains first lesbian bishop” carrying the same date. The stories are written by different reporters; I don’t know who writes the headlines for Examiner.com. In any case, the second headline is the more inviting. After all, was the first headline really intended to clarify that the lesbian made a bishop in Long Beach was a woman and not a man? My Web site, Lionel Deimel’s Farrago has been experiencing a problem. Page banners are not being displayed correctly, and there may be other glitches as well. Please bear with me while I attempt to solve this problem. It appears that most content is unaffected, but, until this issue is resolved, I have limited ability to update pages. Update 5/16/2010: I think the problem is now fixed. If you encounter any problems on the site, please let me know. I apologize for any inconvenience. 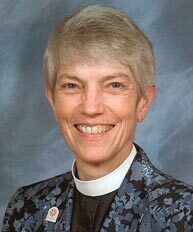 In her letter to the Primates, the Presiding Bishop of The Episcopal Church (TEC) Bishop Katharine Jefferts Schori, confirmed that the consecration of the openly gay Mary Glasspool is not a random event but comes from the settled mind of her church. Sadly, this shows that TEC has now explicitly decided to walk apart from most of the rest of the Communion. Since that decision by TEC has to be respected, it should result in three consequences. First, TEC withdrawing, or being excluded from the Anglican Communion's representative bodies. Second, a way must be found to enable those orthodox Anglicans who remain within TEC to continue in fellowship with the Churches of the worldwide Communion. Third, the Anglican Church of North America (ACNA) should now be recognized an authentic Anglican Church within the Communion. Surely more such statements will be forthcoming. I trust that The Episcopal Church will be unmoved by them. A friend suggested the other day that The Episcopal Church withdraw from the Anglican Communion for a time. I have not been very sympathetic to such proposals in the past—our voluntary non-participation in the 2005 Nottingham Anglican Consultative Council meeting did not work out well—but, in 2010, the idea does not seem unreasonable. In March of 2007, the Rev. Dr. A. Katherine Grieb, a member of the Covenant Design Group that had recently issued its first covenant draft, spoke to the House of Bishops of The Episcopal Church about the draft and about the process that produced it. (Her remarks can be read here.) She also reflected on the recent meeting of the primates at Dar es Salaam, suggesting that “the best evidence for how [the covenant] is likely to be interpreted in the future is the Primates’ Communiqué.” She did not find this comforting. Grieb made this surprising proposal to the bishops: “I suggest that we enter a five-year period of fasting from full participation in the Anglican Communion to give us all time to think and to listen more carefully to one another.” She explained that “we should absent ourselves from positions of leadership, stepping out of the room, so that discussions of the Anglican Communion about itself can go on without spending any more time on our situation which has preoccupied it.” Her suggestion was not acted upon. I assume that the duration of Grieb’s “fast” was predicated on her talk’s having been given approximately five years before the 2012 General Convention. As it happens, we are now about as far removed from the 2015 General Convention, and I think this is an appropriate time to revisit her proposal. In the intervening three years, the situation in the Anglican Communion has continued to develop. The current covenant draft is claimed as the final one, and all Communion churches are supposedly in the process of adopting it. The Episcopal Church exhibited less deference to Communion demands in the 2009 General Convention than it did in 2006. Moreover, some of the reservations held by Grieb’s audience are no longer relevant. The Archbishop of Canterbury invited nearly all Episcopal bishops to the 2008 Lambeth Conference, and the schism in The Episcopal Church that was thought might be encouraged by an institutional fast happened anyway. Many things have not changed. The Episcopal Church and the Anglican Church of Canada continue to be vilified with regularity, and churches that might be expected to be defenders of the two large North American churches continue to be conspicuous by their silence. Although the Archbishop of Canterbury is pleased with his having successfully played midwife to an Anglican covenant, the recent “Trumpet” (communiqué) from the Global South suggests that the struggle for a new doctrinal and political direction for the Communion is far from over. Rowan’s covenant seems to please the Global South no more than it does the liberal West. The election of Mary Glasspool has occasioned renewed dissatisfaction abroad, and her May 15 consecration will doubtless unleash renewed paroxysms of distress from Third World primates and their Western patrons. It is in this context that Grieb’s notion of The Episcopal Church’s “stepping out of the room” for a time looks increasingly attractive. The main purpose of doing so is the same—to allow the Anglican Communion to decide how it wants to structure itself, not how it wants to punish the American churches. I will have more to say about this and about other potential benefits below. I first want to outline my own 2010 version of Grieb’s proposal. I have chosen to call my proposal a sabbatical from the Anglican Communion. I see it not as a time of self-denial, but as a period of respite, self-discovery, and patient waiting. Let me begin by listing details of my proposed sabbatical, which differs in many respects from Grieb’s fast. Both she and I agree that certain actions would require the approval of General Convention. She suggested calling a special General Convention to obtain that approval. Convening a special General Convention would be cumbersome and expensive, however, and I believe we can avoid doing so by structuring our actions differently. Announce immediately that a three-year sabbatical from participation in Anglican Communion activities will be proposed at the 2012 General Convention. 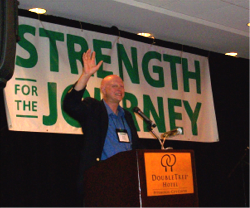 The sabbatical is to begin at the end of the Convention and last until the end of the 2015 Convention. (The 2015 Convention could extend the sabbatical or take other action respecting the Anglican Communion.) Details of the proposed sabbatical (enumerated below) should be made public, though the General Convention might modify or reject the sabbatical idea. No funds to support Communion infrastructure are to be included in the 2012–2015 budget, though funds pledged in the current triennium budget are to be distributed. Funding for joint mission projects of The Episcopal Church and other Communion churches are not to be affected by the sabbatical, but no grants are to be made for infrastructure support to churches that have shown hostility to the domestic or foreign mission of The Episcopal Church. Between the 2012 and 2015 General Conventions, no representatives, official or otherwise, should attend Communion meetings. This prohibition is to include all Episcopal bishops. The church will neither respond to Communion requests nor offer any proposals of its own. 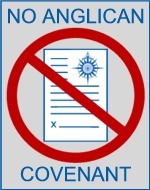 No action is to be taken by the 2012 General Convention on the proposed Anglican covenant or any successor covenant that may be proposed before then. the Mar Thoma Syrian Church of Malabar. Between now and the opening of the 2012 General Convention, The Episcopal Church should participate only as required in Communion affairs. The church should neither respond to requests from the Communion nor offer any proposals. What benefits might accrue from the proposed sabbatical? First, the sabbatical is intended to give our own church respite from the unrelenting pressures to which we have been subjected since 2003. A sabbatical will give us time to discern what we expect in relationships with other churches, including those both in and out of the Anglican Communion. Also, in a time of dwindling resources, funds that would otherwise go to support a Communion infrastructure that seems to be satisfying no one could be used to strengthen our own church and to advance our own mission objectives. The Anglican Communion, much of which seems eager to have The Episcopal Church out of the way, will get an opportunity to see what that might look like. Having lost its whipping boy, will the Global South turn its wrath on the Church of England and other Western and Western-leaning churches? 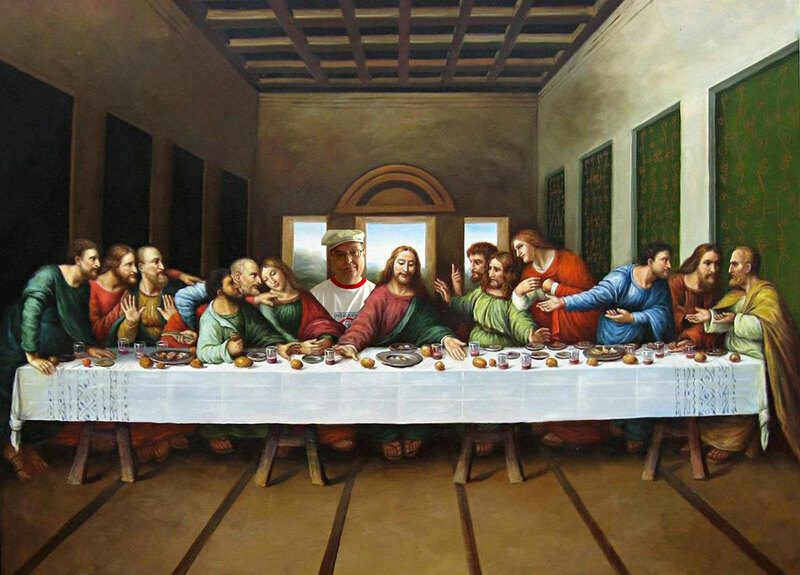 Episcopal Church detractors in the Communion will have to decide just what sort of Communion, if any, they really want. Is the draft covenant strong enough? Is something more dictatorial indicated? Is Canterbury too influential? Is the real goal an Orthodox Anglican Communion, with or without the Church of England? Perhaps, just perhaps, life in the Anglican Communion without The Episcopal Church might be found wanting. If so, reconciliation will be easier after a trial separation than after a divorce. More than once, I have heard pleas from progressives in various Communion churches for The Episcopal Church to stand and fight, rather than abandoning them to the machinations of Anglican troglodytes. To this I reply that The Episcopal Church and the Anglican Church of Canada have received precious little substantive support from churches known to be sympathetic to their present understanding of their mission. The sabbatical would be a wake-up call for the progressive elements of the Communion to stand up and be counted, rather than relying on a long-suffering, if not actually masochistic, Episcopal Church to carry the banner of Modernism. As I said earlier, no one seems genuinely happy with the prospect of an Anglican Communion structured by the proposed Anglican covenant. The reality is that forging a satisfactory agreement of substance among diverse organizations spread across the globe requires substantial time and money. The Archbishop of Canterbury, however, chose to develop a covenant quickly and on the cheap. Perhaps, without the immediate ability to chastise The Episcopal Church removed, the Communion will act with more grace and common sense. I wouldn’t, of course, be holding my breath. Were we to implement my sabbatical idea, we would be saying to the Anglican Communion, “Decide how you want to structure the Communion, and let us know when you’re done. We will then let you know if we’re interested in being a part of it.” This will be a difficult declaration for some to make, but the Anglican Communion is only a means to an end. We should not indulge those who, for their own reasons, have made the Communion an idol to be venerated. Do I really think that a sabbatical from participation in the Anglican Communion is the best policy The Episcopal Church could pursue? Well, yes and no. I am quite serious about the potential benefits, and I fear that the 2012 General Convention might sign on to the covenant, either out of a business-as-usual Anglican politeness or in the mistaken belief that the covenant really isn’t so bad. Going on sabbatical would certainly be preferable to that kind of self-destructive betrayal of the Episcopal majority and two centuries of independence. 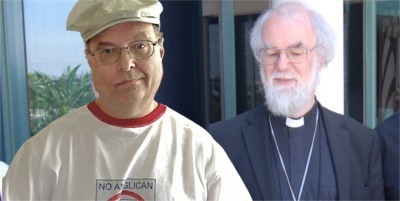 My true preference, however, would be for The Episcopal Church finally to discover its institutional backbone and to declare that its current trajectory is not subject to foreign influence and that the church will not abandon that trajectory for the sake of the consciences of a handful of reactionary Episcopal bishops. The leadership of our church has frankly been passive-aggressive in its dealings with the Communion, failing at every turn to make clear that actions, particularly by the primates, are unacceptable. Our church has repeatedly suggested that we are trying to comply with Communion demands, even when it has been clear that we had no inclination or will to do so. The consent to the consecration of Mary Glasspool was an inevitability, not a fluke, and the Presiding Bishop understood that inevitability at the same time she was leading the Communion to believe that we would maintain a moratorium on such consecrations. Standing up to Communion bullies is what I really think my church should do, but stepping back to let them bully someone else for a while isn’t such a bad second choice. “Orthodox” critics have accused the church of violating its constitution because they interpret the consecration of Gene Robinson as being outside “the historic Faith and Order as set forth in the Book of Common Prayer.” They have also suggested that, were The Episcopal Church to be banished from the Anglican Communion, the church would face a “constitutional crisis.” All this is nonsense, but it is nonsense given plausibility by an over-broad Preamble. Because the Preamble has been used as a cudgel against our church, we should take this weapon, unfit though it is for serious rhetorical battle, out of the hands of our church’s enemies. Because it takes at least three years to amend the church’s constitution—it cannot now be accomplished until 2015—we would do well to start the amendment process in 2012. Although I think it wise to amend the Preamble irrespective of developments within the Anglican Communion, proposing an amendment at the next General Convention still allows the 2015 General Convention to reject Preamble changes if it so chooses. Should The Episcopal Church find itself outside the Anglican Communion in the next few years, whether by choice or not, it surely would be wise to delete the reference to the Communion in the Preamble. Acting in 2012 preserves our option to clean up the Preamble in a timely fashion. Notice that I have lowercased the article before “Episcopal Church” in my proposed Preamble. Not so very long ago—and perhaps as recently as 1967—institutional entities often carried official names beginning with “The” (e.g., The American Sugar Refining Company or The Borden Company). The more modern practice removes “The” from official titles, prefixing “the” or nothing at all. Around the time of the 2006 General Convention, Episcopal News Service began insisting on using “The Episcopal Church,” in its dispatches, but, after a time, this convention was dropped in favor simply of “the Episcopal Church.” (I have continued to use “The Episcopal Church” in my own writing, though with serious reservations.) A legacy of this brief period is the use of “TEC” as a common abbreviation for the name of the church, supplanting “ECUSA” and the earlier “PECUSA.” My guess is that, even if my proposal is implemented, “TEC” will stick as a short designation for the church. Of course, I should note that our church is not the only “Episcopal Church” in the world, or even in the Anglican Communion, but we do seem to have established the right to be the Episcopal Church, whether the leading article is capitalized or not. Assuming my proposal is adopted, I would like to see most references in the canons to “The Episcopal Church” changed either to “the Episcopal Church” or “this Church.” Most references to “the Episcopal Church” could profitably be changed to “this Church” as well. Please don’t look to me to track down all of them, however. I remember there were Armstrong Numbers of several Kinds and Orders, but don’t remember much detail, which is pretty much true of most of my life in the 60s. The students tried to compute almost all of them, and the sharper ones quickly realized that Fortran wasn’t the best way to do the job. They rewrote their algorithms first in assembly language (for an IBM 7000 series machine), and later in hard machine language to get the last bit of speed possible. As a reward, we ran the winning algorithm as the system’s idle process for a few nights, resulting in a very long list of Armstrong numbers (of the first Kind, anyway). As serendipity would have it, I was in Australia at a meeting in February, 1988, when a short piece on “Armstrong’s Numbers” by Tim Hartnell, one of their regular columnists, was printed in The Australian (Tuesday, February 23rd). I immediately dashed off a note to him asking if he was talking about MY Armstrong Numbers, or some other Armstrong’s Armstrong numbers. We carried on a brief and cordial correspondence, and he published a followup article about finally finding out who “The Great Man” was in the April 19 issue. I guess that was my 15 minutes of fame. I discovered your website as a consequence of researching some Tom Lehrer songs. Go figure; where would we be without the Internet? I plan to credit Michael Armstrong in my discussion of digital invariants, but I am first writing this post to see if anyone knows how, after giving his assignment, Armstrong’s name came to be attached publicly to the numbers in the assignment. Perhaps one of his students was responsible, or perhaps he discussed the numbers with a colleague who than used “Armstrong number” in print somewhere. Can anyone clear up this point? Blog comments sometimes alert readers (and bloggers) to developments they may have missed in other media. For example, a recent comment on this blog made me aware that Portugal may be very close to legalizing gay marriage, thereby joining European countries Spain, Belgium, the Netherlands, Norway, and Sweden. Details can be found in this April 28, 2010, story from On Top Magazine. A gay marriage bill was passed by the Assembly of the Republic, but President Anibal Cavaco Silva submitted a number of provisions of the bill to the Constitutional Court to determine if they were constitutional. The Court has said they are, and the President has 20 days to veto the bill or allow it to become law. According to On Top Magazine, the Assembly may have the votes to pass the bill over a veto by the President, who is Roman Catholic. I can understand why Hispanic organizations are up in arms over the new immigration law in Arizona. What I cannot understand is why more citizens are not upset, not about rights of illegals—sorry if that does not sound politically correct—but about their own rights. Why, for example, are those folks who made such a fuss over the Second Amendment, silent about the guarantees of the Fourth Amendment? Surely, “probable cause” means something more than “you look like you might be here illegally.” Judges do not grant search warrants on the hunches of police officers, so why should we let the police stop people on the street on the basis of nothing more than a gut feeling? Isn’t everyone in Arizona a potential victim of SB 1070? Irrespective of your citizenship status, what if you have dark skin? What if you are poorly dressed? What if you look like a day laborer? Arizona’s new law is almost surely going to be declared unconstitutional, for vagueness, if nothing else. Why put the state through the expense to getting to that end result? Acknowledge the facts on the ground, including the number of illegal residents already in the U.S. and the number of critical jobs being performed by illegal residents. Identify the human and financial costs and benefits—yes, there are some benefits—of the present system (or non-system). Decide what objectives our immigration system should advance or accomplish. Decide what constraints must be applied to any redesigned immigration system, particularly cost considerations and effects on civil liberties. Propose new systems designed to achieve the identified objectives within allowable constraints, and estimate their costs and benefits. Enact laws to implement the best proposal, assuming that at least one proposal is likely to meet our objectives within identified constraints better than the current system. Of course, our political system won’t let us do that.